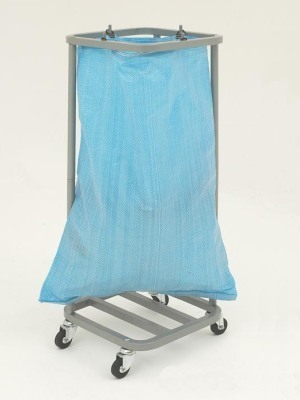 This single mailsack holder is designed to help ease the task of transporting bulk mail in and around mail room environments. Prongs located on the top edge of the trolley ensure the mail bag is held in the open position - this reduces the time taken to load and unload letters, packets and parcels. 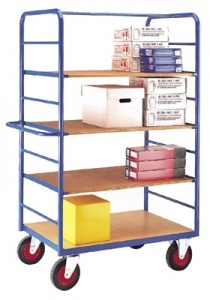 4 swivel castor wheels provide a versatile mail room trolley that can easily be manoeuvred in tight spaces and through narrow corridors. Double mail sack version also available. Note: Sacks not included as standard but can be added to your order.